Diabetes Runs in My Family. Does that Mean I’ll Get it? This is a relevant concern, especially considering over a 25-year period (1983 to 2008), the number of people in the world with diabetes increased nearly sevenfold, from 35 million to 240 million. While I believe this is actually a serious underestimate, its magnitude could not happen with a purely genetic or inherited disorder in such a short time. The genetic code of the human population changes only 0.2 percent every 20,000 years. In other words, genes do not become altered from generation to generation. So if genetic alteration isn’t the reason, then why the dramatic increase in diabetes? Well, our environment affects our genes. The genetic code itself may not change, but the world around us highly influences the way those genes are expressed. Our environment has changed more in the last 100 years than in all of previous human history. Diabetes is almost entirely induced by environmental and lifestyle factors. Predisposing genes certainly contribute, but those genes get turned on (or “expressed”) only under conditions of poor diet, sedentary lifestyle, stress, and exposure to environmental toxins. Understanding how our genes predispose us to certain conditions helps us personalize our approach to metabolism and weight loss, yet becoming overly fixated overlooks the most important target: Modifiable lifestyle and environmental factors that are driving this epidemic. Looking at the things that wash over our genes from outside and within provides us insight into the origins of and the cure for our chronic disease epidemic. Those external sources include air, water, diet, drugs, organic pollutants, heavy metals, radiation, and physical or psychological stressors. Internal processes include inflammation, free radical production and oxidative stress, allergens, infections, and even gut flora. The exposome directly influences our genes, resulting in changes in gene function or expression that lead to the disordered biological state of diabesity. The genetic code itself doesn’t change, but which parts of this code are expressed does change. This becomes a powerful idea: We can’t change our genes, but we can change their function and expression. The collective experience of our lives— our intrauterine environment, diet, toxins, microbes, allergens, stresses, social connections, thoughts, and beliefs—control which genes are turned on or off. That experience also controls the quality and type of proteins produced by our DNA, as well as what happens to those proteins and how they function once they are produced. The “epigenome” becomes inheritable. If your grandmother ate too much sugar, or smoked, or was exposed to mercury from too much sushi, she may have “turned on” the genes that lead to diabesity. Her epigenome, which carries increased risk of disease, would then be passed down from generation to generation. Yes, this increases your risk, but it’s far from being a death sentence. Your genes provide the instruction book for all the proteins in your body, which controls your physiology and biology. You may have a genetic predisposition to diabetes or obesity, but you are not predestined. Every moment, you have the power to transform your gene expression and reverse disease by changing the messages and instructions you send to your DNA. You can “turn off” the genes your grandmother “turned on” generations ago. For those who remain unconvinced and believe that diabetes is genetic, let me tell you the story of the Pima Indians of Arizona. After living for centuries in a harsh desert environment, in the early 1900s they were plunged into a Western culture and food environment. Their traditional diet was essentially plant-based (whole grains, squash, melons, legumes, beans, and chiles) supplemented by gathered foods, including mesquite, acorns, cacti, chia, herbs, and fish. Although their diet was high in carbohydrates, they were low-glycemic carbs, meaning they converted into sugar in their bodies relatively slowly and did not lead to high blood sugar levels. Within one generation, the Pimas switched to a diet rich in sugar, sodas, white flour, trans fats, and processed foods. This is a diet I call the “white menace”— white sugar, white flour, and white fat (shortening). They went from being thin and fit with no obesity, diabetes, or heart disease to being the second most obese population in the world. Today, 80 percent of Arizona Pimas are diagnosed with diabetes by the time they are 30, and they are lucky to live to age 46. Pima children as young as three or four are getting adult-onset diabetes and need cardiac bypass surgery by the time they are 20. The diabesity epidemic in the Pimas is not due to a recent genetic mutation. The shift in their diet sent their ancient, desert-dwelling genes a different set of instructions. Food is not just calories. It is information, and the typical American high-glycemic-load diet turned on the Pimas’ diabesity genes. They didn’t have much choice about this. You do. Diabesity is not a genetic disorder in the strictest sense. While it’s true that the genes you inherited from your parents or grandparents may put you at greater risk, that doesn’t necessarily mean you must get diabesity. The condition is a direct outcome of dietary, lifestyle, and environmental factors turning on all the wrong genes. It is about a bad “exposome,” not bad genes. You can turn these genes off. I Already Have Diabetes. Can I Reverse It? Most of us are taught diabetes is not reversible and that we are destined to suffer progressive decline in function, including heart disease, kidney failure, blindness, amputation, strokes, and dementia. We also erroneously believe that it is nearly impossible to treat obesity or maintain long-term weight loss. We think that the only treatment options are to limit the consequences and reduce the complications. Even most later stage diabetes can be reversed with very intensive lifestyle changes, medications, and supplements. A groundbreaking study (7) showed unequivocally that even people with advanced Type 2 diabetes can recover, even when the pancreas has pooped out and insulin-producing (beta) cells are damaged. Diabetes can be reversed in just one week through dramatic changes in diet–specifically, a very low-glycemic, low-calorie, plant-based diet. When patients incorporated these modifications, their blood sugar plummeted, triglyceride levels fell, and the pancreas recovered (measured by sophisticated MRI techniques). After just one week, they were taken off their medication, proving that diabetes is not a progressive, incurable condition. Diet became more powerful than medication. Yes, it may take a lot of work to reverse diabetes, but your body can heal given the right conditions. Even if you’ve recently been diagnosed with diabetes or lived with it for years, your condition is reversible. Despite what your doctor tells you or what you might read, there is hope. I strongly encourage you to read The Blood Sugar Solution to incorporate the comprehensive dietary, nutrient, and lifestyle plan to reverse diabetes. At the same time, there are a number of simple strategies you can implement right now to prevent or reverse diabetes. Ask your doctor for the right tests. Most doctors focus on fasting blood sugar. This is actually a poor indicator of diabesity. The best test to tease out the condition is an insulin response test where insulin levels are measured first in a fasting state, and then again at one and two hour intervals after consuming a glucose drink. Don’t ask for, demand this test from your doctor. Ditch sugar. Despite the media hype and the seeming confusion among doctors, the basics of nutrition are extremely simple. Eliminate sugar and processed carbohydrates. Include whole real foods like lean protein (chicken or fish), veggies, nuts, seeds, beans, and whole grains. Supplement smartly. Supplements are an essential part of treating diabesity. A good multivitamin, vitamin D, fish oil, and special blood sugar balancing nutrients like alpha lipoic acid, chromium polynicotinate, biotin, cinnamon, green tea catechins, and glucomannan should also be included. To simplify supplement plans, I have included basic plans here and here. For more advanced options, please see here and here. Regardless of what plan you choose, rest assured I have chosen the most effective, efficient supplements you can take to manage blood sugar levels and reverse diabetes. Please consult The Blood Sugar Solution for a more comprehensive plan to use nutrients for blood sugar balance. Chill out. Stress is a major unrecognized contributor to insulin resistance and blood sugar imbalances. Push your pause button every day with deep breathing, visualization, yoga, meditation, and other relaxation techniques. Move more. Aside from changing your diet, exercise is probably the single best medication for diabesity. Walk at least 30 minutes every day. For some, 30-60 minutes of more vigorous aerobic exercise 4-6 times a week may be necessary. Grab my comprehensive, easy-to-apply exercise plan here. Address your environment. Environmental toxins also contribute to diabesity. Filter your water, look for green cleaning products, and avoid plastics when you can. Get enough sleep. 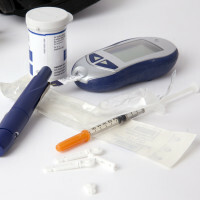 Studies show even one partial night of poor sleep can contribute to insulin resistance, paving the way for diabesity. (8) Get 19 of my top sleep tips here. In addition to these seven tips, several studies show when you pair up with like-minded folks and take an online weight loss challenge, you are more likely to lose weight and successfully keep it off. (9, 10) That’s why I encourage you to join my upcoming Blood Sugar Solution Challenge starting on May 20. Click here to register. 1 . McCarthy MI. Genomics, type 2 diabetes, and obesity. N Engl J Med. 2010 Dec 9;363( 24): 2339– 50. Review. 2 . Rappaport SM. Implications of the exposome for exposure science. J Expo Sci Environ Epidemiol. 2011 Jan; 21( 1): 5–9. 3 .Lichtenstein P, et al. Environmental and heritable factors in the causation of cancer— analyses of cohorts of twins from Sweden, Denmark, and Finland. N Engl J Med. 2000 Jul 13;343( 2): 78– 85. 4 .Olshansky SJ, et al. A potential decline in life expectancy in the United States in the 21st century. N Engl J Med . 2005 Mar 17;352( 11): 1138– 45. 5. Bibbins-Domingo K, et al. Adolescent overweight and future adult coronary heart disease. N Engl J Med . 2007 Dec 6;357( 23): 2371– 79. 6. Diabetes Prevention Program Research Group, Knowler WC, et al. 10-year follow-up of diabetes incidence and weight loss in the Diabetes Prevention Program Outcomes Study. Lancet. 2009 Nov 14;374( 9702): 1677– 86. 7. Lim EL, et al. Reversal of type 2 diabetes: normalisation of beta cell function in association with decreased pancreas and liver triacylglycerol. Diabetologia. 2011 Oct; 54( 10): 2506– 14. 8. Donga E, et al. A single night of partial sleep deprivation induces insulin resistance in multiple metabolic pathways in healthy subjects. J ClinEndocrinolMetab. 2010 Jun;95(6):2963-8. doi: 10.1210/jc.2009-2430. Epub 2010 Apr 6. 9. Funk KL, Stevens VJ, et al. Associations of internet website use with weight change in a long-term weight loss maintenance program. J Med Internet Res. 2010 Jul 27;12(3):e29. 10. Kevin O. Hwang, et al. Thomas Social support in an Internet weight loss community. Int J Med Inform.2010 January; 79(1): 5–13. 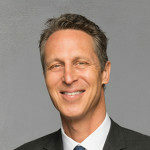 Food Bites with Dr. Hyman – Spring Cleaning!